Maze 11 has two starts with no apparent goal. Basically, start with one mouse and try to find the course to his buddy. With this maze we are looking at how to blend two paths. The initial quandary is trying to determine which start (mouse) is the better path. 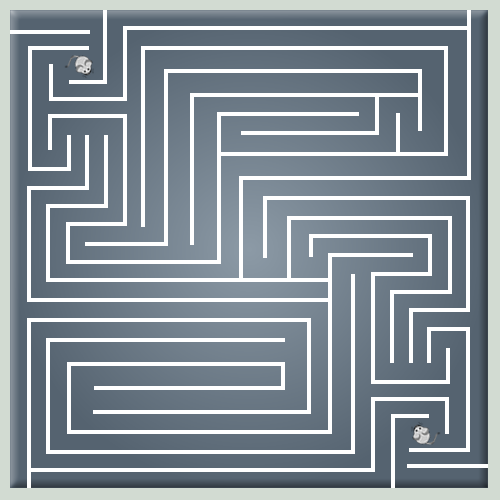 The maze is a finger/mouse/stylus maze (on mazecheese.) 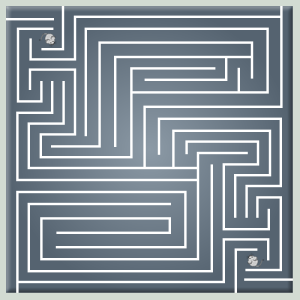 Using your mouse, finger or stylus, draw your pathway through the puzzle.